Save the excuses. It’s not about “having” time. It’s about making time. If it matters, you will make time. Now is the time to leave the excuses at the door and get the results you are looking for! PO2Max is designed to help you reach your agility goals. It is a customized structured plan, which will encourage measurable progress towards your goal. In order to achieve your goals, you must be willing to take your training and fitness level to the next level. 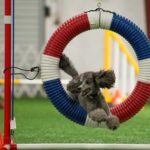 “Weekend warriors” handlers or dogs are the ones who run more of a risk for injury because they do not have the strength and fitness level to support the activities we ask of them. You will receive a cardio plan for both you and your dog that will be done 3 times a week. It starts in short easy increments that are easy to work up to. You will also receive strength training exercises that will be done 3 days a week on the opposite days of cardio. There will be one day each week that the dogs and you have off. Recovery days are very important, as is having a balance of strength and cardio for our performance dogs. 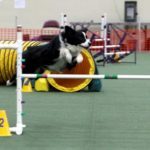 There will be specialized mini agility drills given depending on the dog and the desired goals. You will receive course work customized to your size practice area and the equipment you have available. 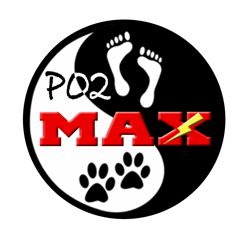 There is a private FB group that you will be a member of where you can share your journey and help stay motivated with other PO2Max teams. In addition, there is a private page on the PO2 website that you will have login access to a library of videos that can be used as reference tools. Your monthly subscription includes a consultation with Jennifer Miller, DVM. She will evaluate your dog’s chiropractic wellness (non-locals will be phone consults and may have the chance to schedule an in person consult at a trial). 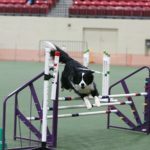 She will go over your dog’s nutritional plan, including diet and supplements (supplements may be prescribed at an additional cost) to make sure that your dog has everything they need for their body to be able to function at peak performance. She may also add additional strengthening exercises if needed. You will receive one private lesson a month with Barbara at either her home or via Skype. You will have 10 minutes of video each month to submit for feedback and you will be submitting weekly status reports to track your progress.